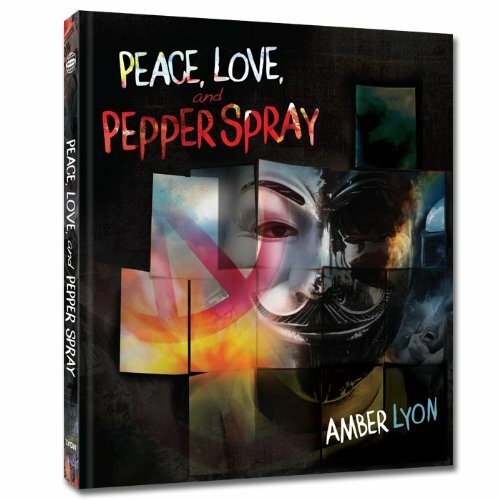 "I hope the photos in ‘Peace, Love, and Pepper Spray’ provide readers with the strength and inspiration to stand up against corruption and revolt. I created Peace, Love, and Pepper Spray to remind the American people that protest is beautiful, effective and absolutely necessary for change. Corporations and the U.S. Government, who both have a vested interest in eliminating dissent, have been doing everything in their power to make you think protest is a waste of time. They’re wrong and this book will show you why. Throughout history -the American Revolution, slavery, labor movement, women’s suffrage, civil rights, Vietnam war, gay rights- protest has been the common denominator for change. 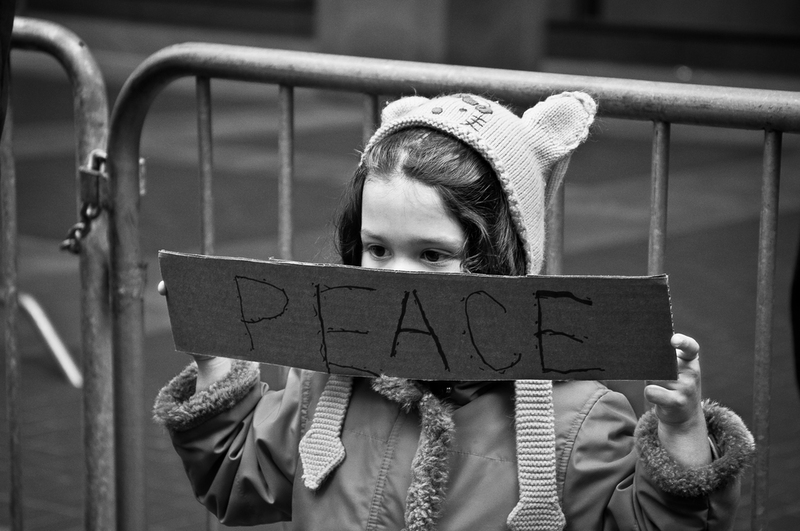 It was with a sense of relief that I watched the American people rise up at the start of the Occupy movement. They’d quite simply had enough and were courageously risking freedom and limb to stand up against a broken system that has failed us all. 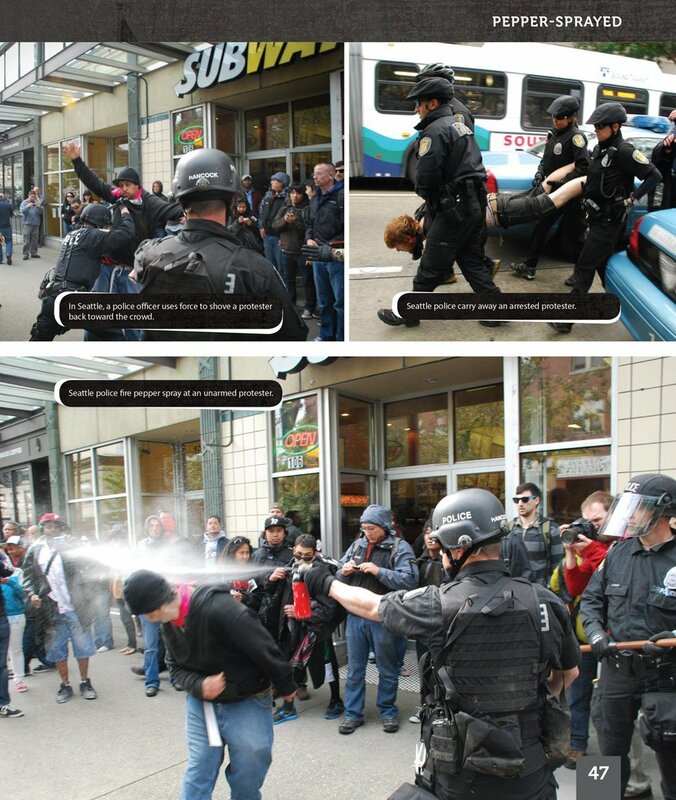 The people deserved change and I was honored to be on the front lines to capture and protect their fight. As you’ll discover through the images in this book, I witnessed peace, love, and unfortunately more pepper spray than my lungs desired. 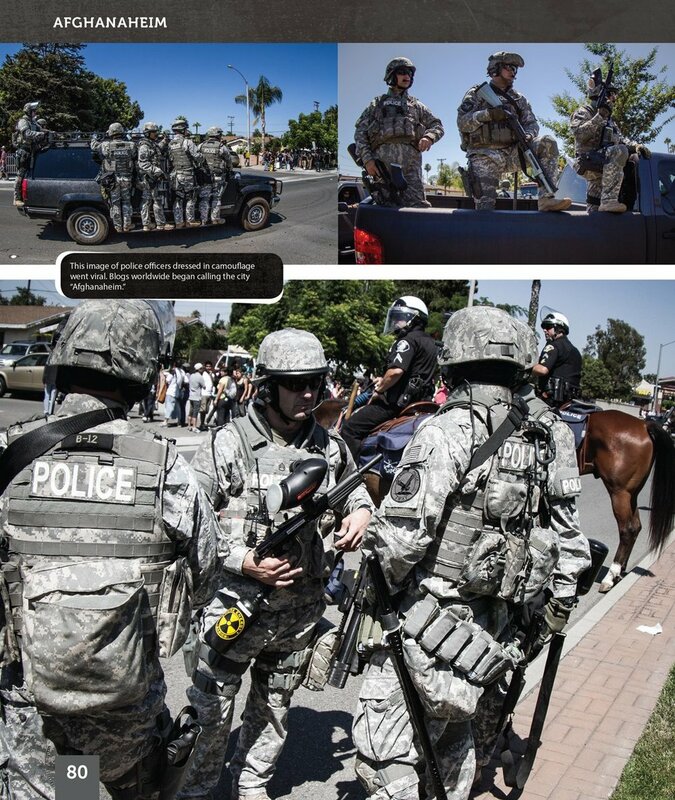 I fought back by turning my camera into my weapon, photographing militant efforts to silence and intimidate protesters and journalists through the use of force. We are at a crucial time where our actions today will determine whether humanity sinks or swims. Every one of us worldwide has an urgent duty to use our platforms and talents to fight corruption and expand consciousness. Don’t know which issue motivates you? Google NSA PRISM, ag-gag, police militarization, GMO food, war on whistleblowers, Iraq uranium birth defects, building seven, bank bailouts, U.S. police militarization, GE Mark 1 reactors in US, tar sands, Aaron Swartz, James Risen, Abdulrahman al-Awlaki, Manuel Diaz, Chelsea Manning, Jeremy Hammond, Barrett Brown- I guarantee you will have a plethora of material to inspire your protest. Don’t have time to hit the streets? You can evoke change from the comfort of your living room online. The book will show you how others are doing so and succeeding. You are now faced with a critical choice. You can either sit back and allow corrupt corporations and governments recklessly wipe humanity off the face of the Earth, or you can fight back. It’s that simple. If enough rise up, the people will win and have succeeded time and time again throughout history. 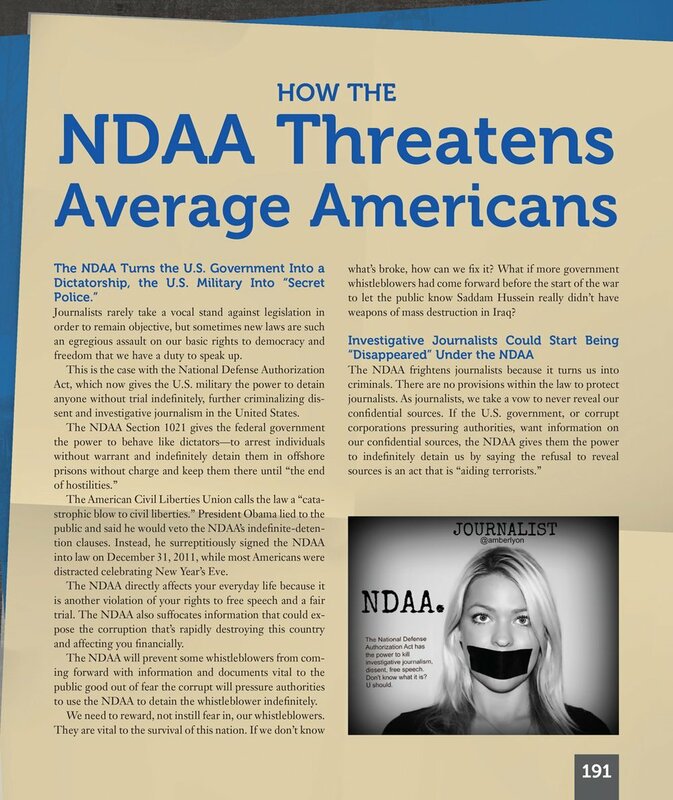 Harvard Law School Speech: "Why Journalists Fear the NDAA"
Purchase a special signed copy of Peace, Love, and Pepper Spray.